is unable to discharge all duties of the office by reason of mental or physical disability." Rule 40.3 specifies that such complaints are governed by the Rules for Judicial-Conduct and Judicial- Disability Proceedings. complaints against judges sitting on courts other than the United States Court of Federal Claims. If you are a litigant in a case before this court and believe the judge made a wrong decision—regarding either the facts of the case or the litigation procedure—you may not use the Rules for Judicial-Conduct and Judicial-Disability Proceedings to complain about the decision. An attorney can explain the rights you have as a litigant to seek review of a judicial decision. Litigants wishing to complain about judges sitting in other federal or state courts should contact those courts for more information about the complaint procedures in those courts. 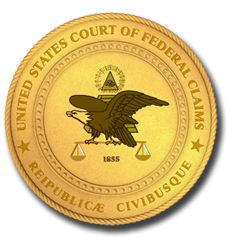 For general information and instructions regarding the filing of complaints against judges within the United States Court of Federal Claims, please review the Guidance on Filing a Complaint of Judicial Misconduct or Disability. To begin the complaint process, please complete the Form for Complaint of Judicial Misconduct or Disability.